A celebration of the richness of Ireland’s artisan crafts and traditions can be experienced in this truly fascinating and interactive programme. The Orchard Centre has tapped into local crafts people who delight in sharing with our guests their unique crafts. 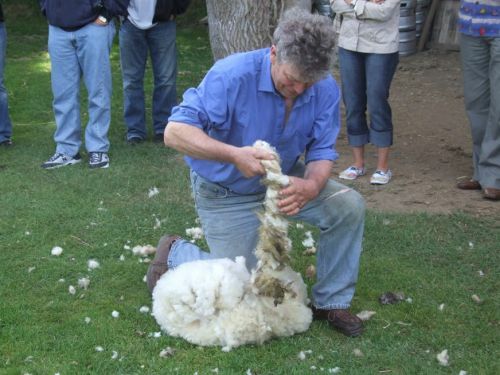 The age-old tradition of shearing the sheep’s winter coat is a fascinating sight. Watch the skilled Shearer as he gently removes the fleece.Indeed, it was just a few miles away in the village of Avoca that Ireland’s first woollen mill was founded. 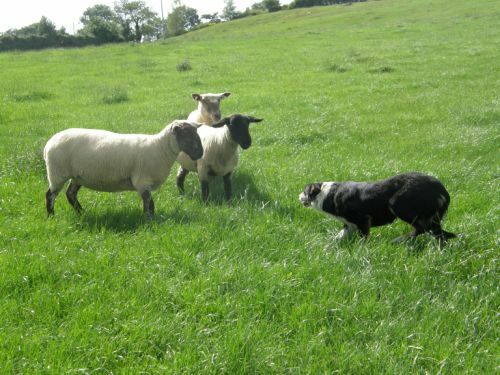 As the home of Sheep Farming, Wicklow has some of the best examples of Working Sheep Dog skills in Ireland. Meet Jack and his champion dog and watch wonderful spectacle of the trained sheep dog in a battle of wits as he changes the sheep flock to fresh pasture. 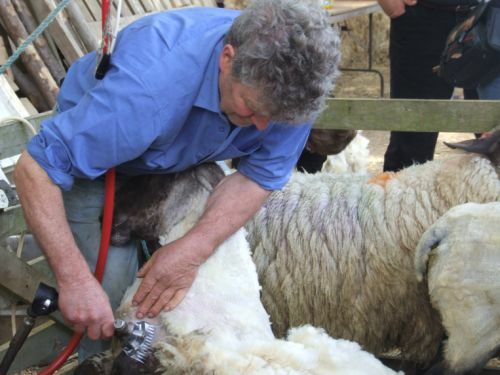 The cleaning and preparation of the freshly shorn wool for market is an age-old craft. Watch as the wool is rolled and tied in a ball with the neck section of the wool which has been twisted into a rope. This is the traditional way of preparing the sheep’s wool for sale after the shearing. Celia demonstrates the art of hand spinning, which will involve carding with the carding boards, which open and straighten the fibres by brushing them between the boards and spinning the fibres into yarn. 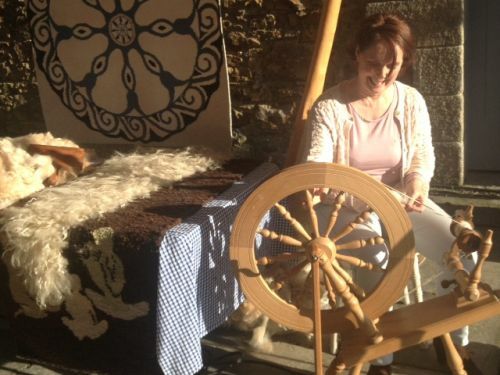 Along with Teasing and Spinning of the sheep’s wool on the traditional Irish spinning wheel, there will be a selection of traditional Irish woollen crafts on display. 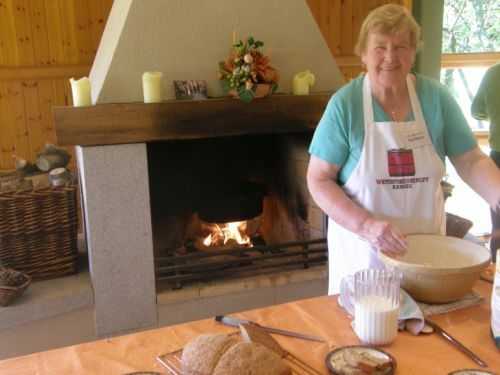 Every housewife in Ireland would have baked bread on a daily basis. The art of baking on the open fire is demonstrated. Turf is used as the fuel source and this not only provides a constant heat but also adds a unique flavour to the freshly baked bread. Let your guests enjoy a slice of Kathleen’s finest brown bread with some freshly churned butter. 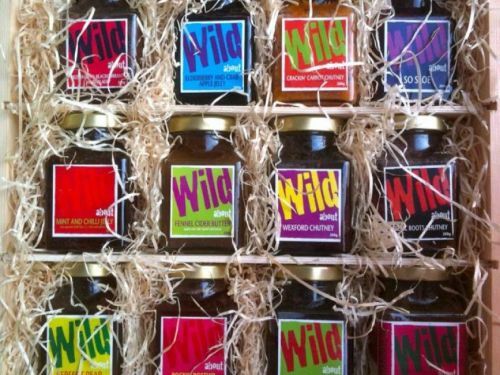 Wild About offer an amazing assortment of Artisan Chutneys and relishes, jams and preserves, raw honey, dessert and cocktail syrups, seasoning bases, salad dressings, extra virgin rapeseed oil and wild raw pestos are made fresh, in small hand batches from ingredients foraged from the wild, grown in our very own permaculture gardens in Co. Wexford. 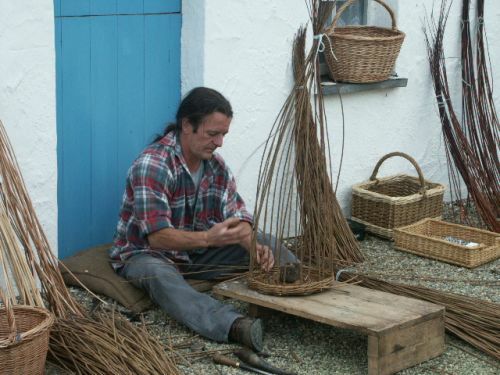 Basket making is one of the oldest crafts in the world. Every village would have a basket maker, as baskets were a necessity for carrying all kinds of things. Many farmers had their own sally garden behind the house, and when the sallies were ready for harvesting they were cut and arranged in bundles for private use or for sale on market day. The art of basket weaving is once again growing in popularity. 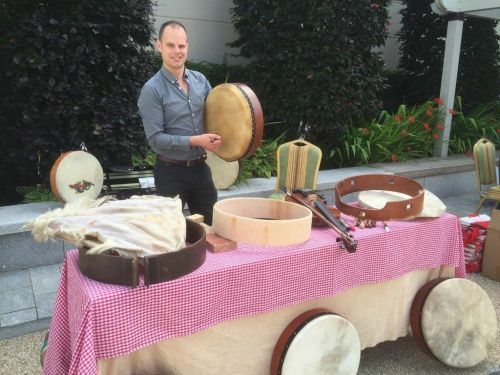 The Bodhrán is the traditional Irish drum. Uniquely played in a seated position, the instrument is held vertically on the player’s knee and supported by his upper body and arm. A goat skin head is tacked to one side and the other side is open ended for the left hand to be placed against the inside of the drum head to control the pitch. Guests will see how the drums are made and then will have the chance to hear some tunes played by an expert musician. He will then offer guests the opportunity to try their hand. 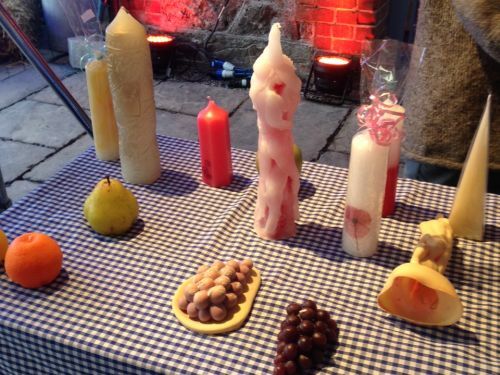 Hand carved candles evolved from wood, rushes or cords dipped in animal fat or pitch. Candles are traditionally made by repeatedly dipping the wicks in melted tallow, by pouring tallow or wax into moulds, or by pouring beeswax over the wicks in melted tallow. A fascinating experience for all to enjoy. 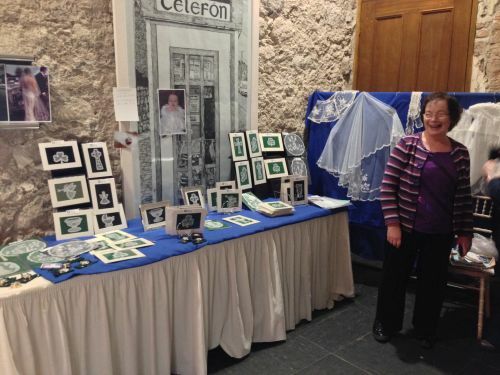 Carrickmacross Lace is a delicate and enchanting Irish craft dating back to 1820, it evolved from some of the applique lace acquired by Mrs Grey Porter, from Carrickmacross, Co. Monaghan, on her honeymoon in Italy in 1816. It is internationally acclaimed for its beauty and the skill employed in its execution and is now enjoying a considerable revival. Our Lace maker, Clare based in Wicklow, likes to work with mostly white of off white cotton or silk yarn. She specializes in smaller pieces of lace but also makes veils and has even been commissioned for wedding gowns. David Moran has been a master craftsman of hurley making since 1995. 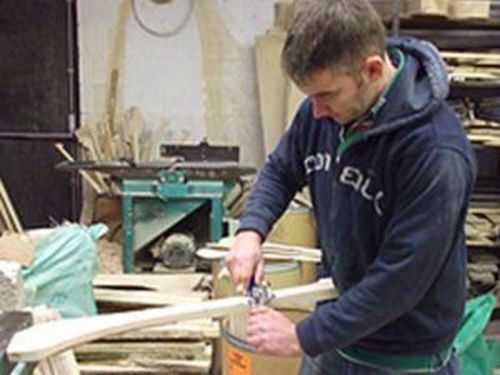 As a former County player, David has a deep knowledge of knowing what a top hurling player requires in a hurley. Using the finest quality Ash, each unique handcrafted hurley has the perfect feel, balance, weight and size for each individual player from beginner to the inter-county player. Every hurley is crafted with the utmost care and attention to every detail. This family owned business was established by John Hempenstall in 2005 to supplement his farm income. He has developed a distinctive range of cheeses using only his own pasteurised milk from his herd of 60 Friesian cows. The cheeses are handmade and have won gold, silver and bronze awards at the British Cheese Awards and have been recommended by John and Sally McKenna. 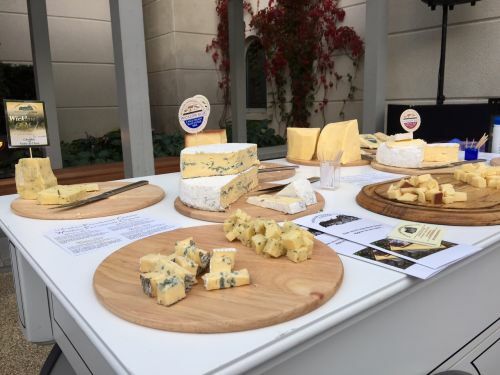 Guests will be able to taste a range of cheeses including Wicklow Blue, Wicklow Baun, St. Kevin, Blue Crumble and a selection of new cheddar cheeses, and chat with John about the process. 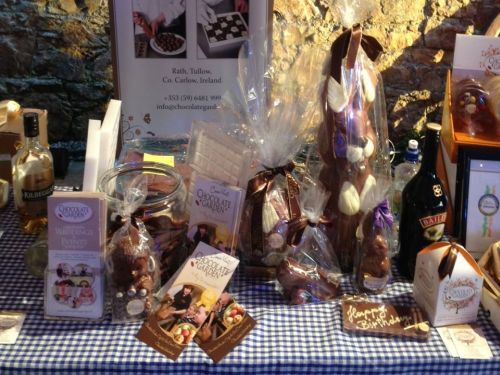 From Wicklow, Ireland’s Garden County, comes an outstanding range of handmade chocolates. The Chocolate Garden was established in 2005 and uses only the best ingredients, and no artificial additives, to create a sensuous range of handmade chocolates that will melt into liquid magic in your mouth! Their chocolatiers undertake training regularly to help them to innovate and create even more variety and spectacular taste sensations. Joe Nealon’s love of honey has been a lifelong love affair with these busy little creatures. 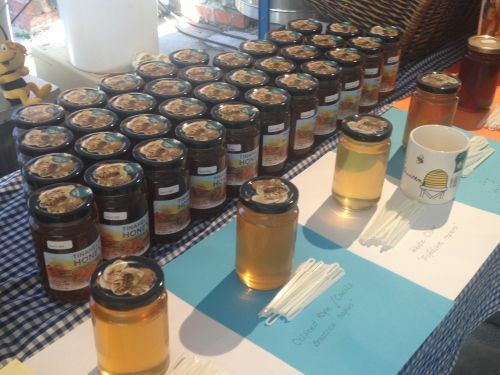 At his home just outside the village of Tinahely he tends to his many bee hives and produces the area’s premium wild clover honey. Joe is also the chairman of the local bee keepers association and loves to tell stories of all the little bees he has worked with down through the years. The lush pastures of Ireland are renowned for producing rich creamy milk and every farm family made or ‘churned’ their own butter. The fresh cream was topped off the milk or separated by means of a separator. Lots of elbow grease was required to ‘spin’ the ‘churn’, which helped curd the cream. 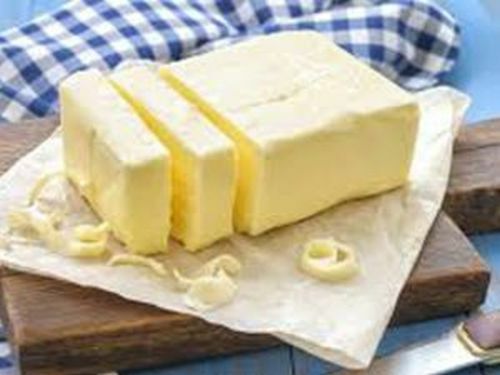 The new butter was then ‘washed’ to remove excess milk and salt was added to help with preservation.